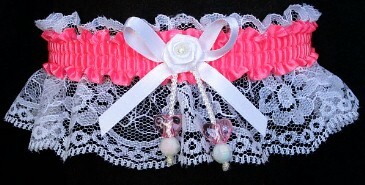 Double Hearts Garter on white lace for Prom Wedding Bridal Fashion. Target: Glam and Style. 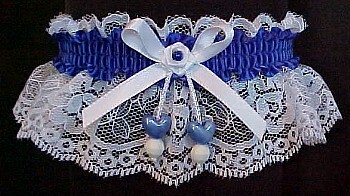 Double Hearts Garters in 175 colors to match your dress. 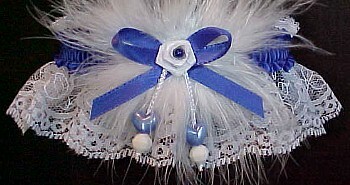 Dbl Hearts Garters w/ Colored Satin Trim on white lace with or without feathers.